Dell’s foray into the mobile market wasn’t very successful and now it shuts down sales of its Dell Venue and Venue Pro smartphones without announcing succeeding products. This could mean the end of Dell smartphone sales in the US as the company shifts its focus towards emerging markets and products with higher margins. "Mobility products have shorter lifecycles than laptops and desktops," a Dell spokesman said. At the same time, Dell will announce new mobile devices in the States later in the year, but it’s not clear whether smartphones will be there. Now, after closing the Venue lineup, Dell is left with no smartphones to offer. The company kicked off its smartphone effort in August 2010 with products like the Dell Streak half phone, half tablet, 5-inch device running on Android. Later, it released Windows Phone devices like the Venue Pro. After an unsuccessful fling with consumer-oriented mobile devices, the company remains committed to the enterprise. It’s also nixing affordable products and instead focuses on high-end premium products like XPS notebooks. Once again, this could signal that Dell is quitting the smartphone race, but it could also mean that the company is searching for a way to make it and the upcoming Windows 8 for tablets and Windows Phone 8 for handsets, could be one opening. Should Dell try and make a device there? 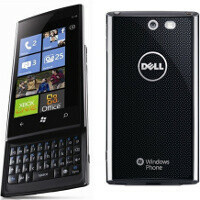 Do you need a Dell smartphone? Let us know in the comments below. Whats the point in ending sales when people are not buying it already. Sure, they should try again. I think Dell as a hardware company is very, very good. But the Mobile industry needs access, and Dell made a decision to try and do the same thing as work out of your Dad's garage when you tried your hand at a Kool-Aid stand- if nobody had access to your product, they ain't spending money on it. Dell sold only from their stores and online, with no promotion. Who the heck knew where to get them? Its sad.. I love my Dell Venue Pro.. the problem wasn't even the phones (the DVP was pretty much bug free with Mango) .. It was sales.. When you ONLY sell online, on a buried webpage no one can find.. surprise surprise they don't sell well. Who evers idea it was to NOT sell at carriers was completely idiotic.. IF they had sold them at MINIMUM Best Buy they would have had better luck.. IF they had actually sold them at the Carriers store it would have sold VERY VERY Well.. It was and still is a VERY unique phone.. and constantly have people ask where I got it and how to get it.. OFTEN this happened at the Tmobile STORE !! But Because they didn't have it at the store.. the customer went and bought a Android.. or a Nokia. Dell doesn't even have the decency to update the Venue. As if Gingerbread is too much to ask for.